Munich Fabric Start 2018 LA LINEA s.r.o. Other international textile fair ended. The MUNICH FABRIC START fair, which is organized by Munich’s organizers twice a year, was successfully for us again. Our stand on September 4-6 introduced the latest collection of shirts and costume designs that we have prepared for the Autumn / Winter season - 19/20. 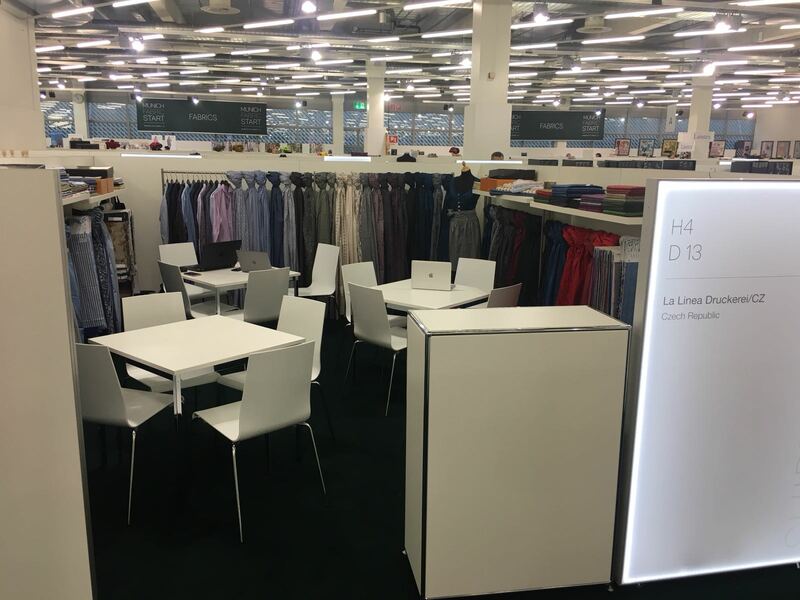 The Munich Textile Fair is expanding and attracting around 20.000 visitors every year from Europe and around the world. Participation in this fair is very important for us and we are looking forward to the February of the next year when the gates of the Munich Fair will open again.